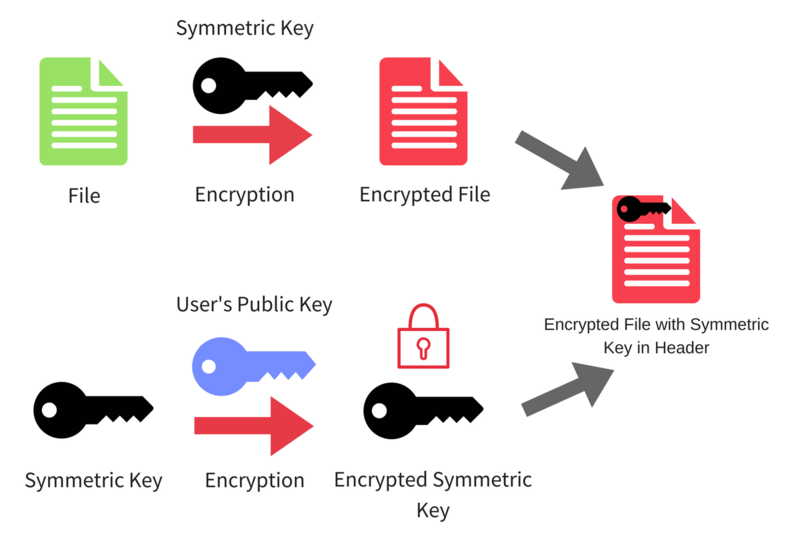 This article aims to show you how to remove the newly emerged BAD RABBIT “Oops, your files have been encrypted” ransomware threat that encrypts your MBR and how to try and unlock your drive in order to access your files instead of paying a hefty ransom to restore them. BAD RABBIT ransomware is yet another virus that has hit Eastern Europe. The malware is very specific and uses very similar XTS encryption mode as the previously detected Mamba Ransomware virus, using AES encryption algorithm to encode the MBR (Master Boot Record) of the drives of infected computers. 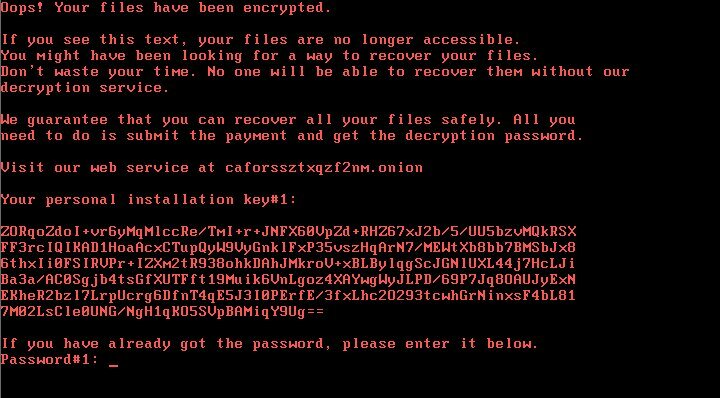 The ransomware then, sets the same “Oops, Your Important files have been encrypted” message, just like the notorious Petya.A ransomware virus did in it’s outbreak during the summer this year. Even though your computer has been infected by the BAD RABBIT ransomware virus there still may be a chance to recover a big portion of your files. Read the following article to learn how to remove BAD RABBIT ransomware and try to restore your data without paying a hefty ransom. Short Description Aims to encrypt the master boot record (MBR) of the system drives of the computers infected by it and then demand from the victim to visit a Tor-based web page in order to pay 0.05 BTC (BitCoin) to restore the encrypted files. Symptoms The very same “Oops, your files have been encrypted.” message appears during system boot in red Fixedsys font. Leads the user to a TOR-based web page, where approximately 40 hours deadline time deadline is given to pay the ransom. Distribution Method Spam Emails, email Attachments, executable files, Flash exploits, malicious macros. User Experience Join Our Forum to Discuss BAD RABBIT. The main distribution technique of BAD RABBIT ransomware has been reported by malware analysts at Proofpoint and ESET to be conducted via a fake Adobe Flash player update package, however it was also detected to be embedded in tools that have the ability to infiltrate organization networks, such as small businesses as well as government facilities. Kaspersky has also published their report in which the virus is detected to be spread via a drive-by intrusion and the victims who opened a URL, were redirected to a web page which pushed the fake Flash update package. So as far as distribution goes, nobody is secure, even the home user. Furhtermore, analysts have also detected this malware to use the so-called Mimikatz in order to obtain system information from the computer of the victim in order to sum up a list of credentials used to access servers in the network which are more central and hence infect as many end devices on the network as possible. When researchers have looked into the code of this virus, they have established that it is based on an open source encryption solution, called DiskCryptor. This solution aims to convert GPT to MBR and UEFI to Legacy modes. Then, it also reboots the computer, which is similar to what the ransomware does. It support the usage of AES, Twofish and Serpent encryption algoirthms and is classified as a high performance one. The first file “cscc.dat” is programmed to create a new service, which it calls Windows Client Side Caching DDriver. This service aims to execute the driver of the file. Infpub.dat also creates a task in the Windows Task Scheduler, that automatically runs the second file “dispci.exe”. It on the other hand is ran the next time when you log into your Windows machine. The task, running “dispci.exe” is called Rhaegal. Then, the Infbpub.dat file, also performs several other activities, such as encrypting the files on your computer as well. More information on the encryption you can find from the “Encryption” paragraphs further down below. But the activity of Infpub.da does not end there. The cleverly coded file can also be redistributed via SMB exploits to other systems via stolen network information from the computer of the victim. The malware even has the possibility to obtain user and password information from network servers. In addition to this activitiy, the virus also creates custom registry entries with values in them that contain the following Windows registry sub-keys. need to do is submit the payment and get the decryption password. 1. Download an ransomware and malware protection program. Step 2:The Power options menu will appear. In your power plan click on Change Plan Settings. From Laptop to Desktop with a SATA cable converter. From Desktop to Laptop with a SATA cable converter. To simplify the process, we recommend you to choose machines that do not require any extra cables or components for the drive to run on them. 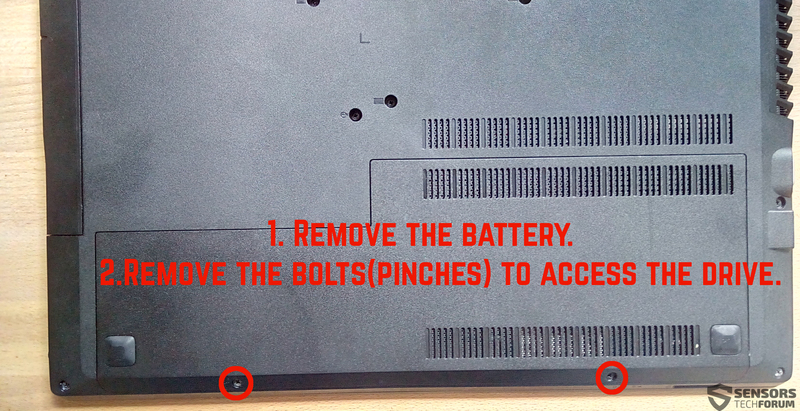 In case you do not have such possibility, we recommend using an external SATA-USB adapter. Threats such as BAD RABBIT may be persistent. They tend to re-appear if not fully deleted. A malware removal tool like Combo Cleaner will help you to remove malicious programs, saving you the time and the struggle of tracking down numerous malicious files. Threats such as BAD RABBIT may be persistent on your system. They tend to re-appear if not fully deleted. A malware removal tool like SpyHunter will help you to remove malicious programs, saving you the time and the struggle of tracking down numerous malicious files. Note! Your computer system may be affected by BAD RABBIT and other threats. SpyHunter is a powerful malware removal tool designed to help users with in-depth system security analysis, detection and removal of threats such as BAD RABBIT. 1. Install SpyHunter to scan for BAD RABBIT and remove them. 2. Scan with SpyHunter, Detect and Remove BAD RABBIT. Ransomware infections and BAD RABBIT aim to encrypt your files using an encryption algorithm which may be very difficult to decrypt. This is why we have suggested several alternative methods that may help you go around direct decryption and try to restore your files. Bear in mind that these methods may not be 100% effective but may also help you a little or a lot in different situations. Note! Your computer system may be affected by BAD RABBIT or other threats. Remove BAD RABBIT by cleaning your Browser and Registry. Fix registry entries created by BAD RABBIT on your PC. Combo Cleaner is a powerful malware removal tool designed to help users with in-depth system security analysis, detection and removal of threats such as BAD RABBIT. Step 5: In the Applications menu, look for any suspicious app or an app with a name, similar or identical to BAD RABBIT. If you find it, right-click on the app and select “Move to Trash”. Step 6: Select Accounts, after which click on the Login Items preference. Your Mac will then show you a list of items that start automatically when you log in. Look for any suspicious apps identical or similar to BAD RABBIT. Check the app you want to stop from running automatically and then select on the Minus (“–“) icon to hide it. Remove BAD RABBIT – related extensions from your Mac’s browsers. A pop-up window will appear asking for confirmation to uninstall the extension. Select ‘Uninstall’ again, and the BAD RABBIT will be removed. When you are facing problems on your Mac as a result of unwanted scripts and programs such as BAD RABBIT, the recommended way of eliminating the threat is by using an anti-malware program. Combo Cleaner offers advanced security features along with other modules that will improve your Mac’s security and protect it in the future. Hey !, I found this information for you: "BAD RABBIT Ransomware Virus – How to Remove + Recover Files". Here is the website link: https://sensorstechforum.com/bad-rabbit-ransomware-remove-recover-files-drive/. Thank you.